Numerous municipalities and county governments in Maryland are planning to expand or implement new camera programs this coming year. Prince Georges is planning on adding as many as six new cameras each month this year, with the goal of having 72 by July, according to the Washington Examiner. In the short period of time the county's current 20 cameras have been in place(since September) they have issued over 93,425 citations (face value $3.7million). Baltimore County is planning on adding additional camera sites to its, so far, relatively small program. Under the current contract, speed camera vendor ACS State and Local Solutions (a division of Xerox Corp) receives close to 90% of the revenue, prompting some council members to seek a renegotiation of the contract terms. In addition, other jurisdictions such as Hagerstown and Mount Airy are currently considering in the process of implementing speed camera programs, hoping for their own cut of what is now an over $77milion industry statewide. 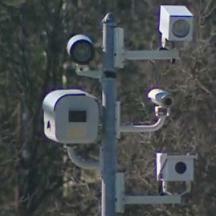 Hagerstown approved a contract with Brekford Corp to provide up to 16 cameras in exchange for 39% of the revenue. "Where not already established by the state, the city will still need to define its school zones and speed limits in those zones though another ordinance" Hagerstown Police Chief Smith said -- and indication that the designation of new school zones never previously marked as such (what has recently become an extremely common practice), or even altering existing speed limits (almost certainly downwards if other jurisdictions are any indication), may be on the table in that city. Mount Airy raised a similar possibility of both creating new school zones and altering some speed limits as it began discussing the implementation of speed cameras.